The founder of our company, Michelle Gellis is a Licensed, Board Certified acupuncturist and a nationally recognized instructor in the art of acupuncture facial rejuvenation. Looking for a way for her patients to enhance and maintain their treatments at home, Ms. Gellis investigated the availability of a safe, effective, easy to use, at home device. 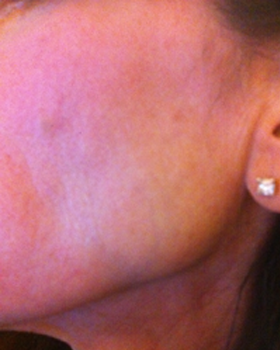 The AcuLift™ derma roller was the answer. 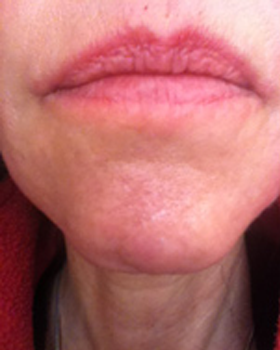 This roller enabled her patients to accelerate their results and also work on areas not limited to the face. As the dermal layer of the skin loses its elasticity due to aging, sun damage, smoking and poor diet, wrinkles and fine lines begin to form. Typically, these lines appear first on the lips and around the eyes where the skin is thin and on the forehead due to habitual expressions (frowning, raising the eyebrows). The answer to this problem is cell regeneration through skin needling (collagen induction therapy). 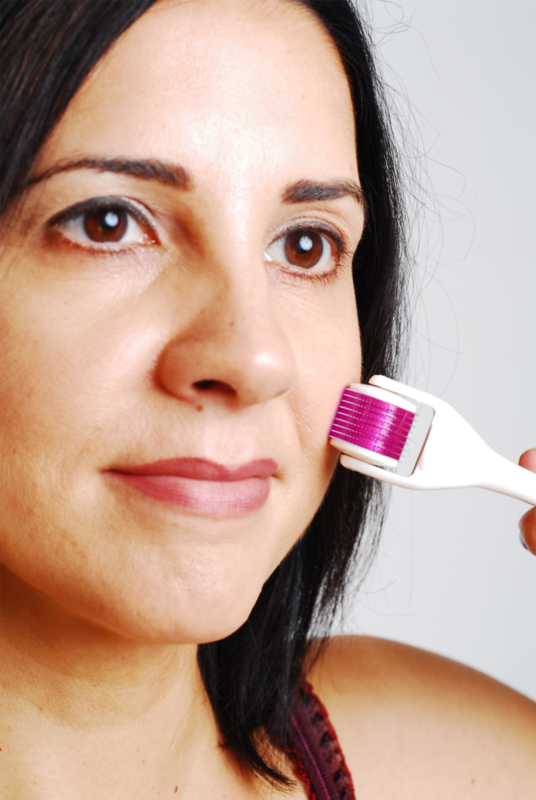 Numerous studies have demonstrated that the micro-trauma to the skin which occurs through using a micro needle dermal roller (such as the AcuLift Derma Roller™) stimulates new collagen and elastin which improve the thickness and smoothness of your skin. Similar studies show that use of a micro needle roller increases the transdermal absorption of anti-aging skin care products. * This is highly beneficial due to the fact that the skin is a barrier, and the problem with most serums and lotions is that they sit on the outside layer of your skin and can’t be absorbed. Saggy skin, especially the elbows, hands & knees are a telltale sign of aging. This is due to the loss of elastin in the skin which normally causes the skin to ‘snap back’. Although a surgical facelift can help sagging jowls, not much can be done for other problem areas. Even celebrities cannot escape the saggy knees and loose elbow skin. Until now, there was no answer to this problem. However, certain studies indicate skin needling with products like the AcuLift 1080 needle body roller either 1.5mm or 2.0 mm needle length may increase elasticity and reduce the appearance of saggy skin. The cause for large pores is often blocked ducts of the sweat glands by old and sticky scales dead skin and dirt. The fine needle tips on the dermal roller may remove these “blockers” mechanically. As the gland ducts are kept open, the appearance of pore size may reduce significantly. The more skin ages, the longer it takes for skin cells to be renewed. As a result, the uppermost scales start to dry out and lose their transparency – they look like a grayish layer. 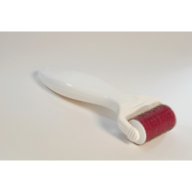 The needles of the roller may remove the grey scales giving the skin a more youthful less dull appearance, and a softer feeling and finer texture. This is done without stripping the skin of its epidermal layer as in a chemical peel. Cellulite is dimpling of the skin primarily on the buttocks and back of legs due to changes in connective tissue structure and loss of skin elasticity. 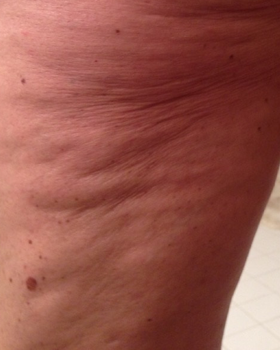 Lack of circulation, poor lymph drainage, sedentary lifestyle, and heredity all contribute to cellulite. Cellulite has nothing to do with being overweight, and no amount of exercise will remove it. The removal of cellulite (or cellulite reduction) is a concern for many people. Procedures such as liposuction can make cellulite worse. 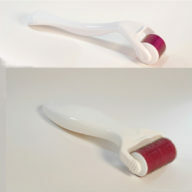 The AcuLift™ Body roller may help in several ways; It may increase circulation in the cellulite, it may help to tighten and thicken the skin by increasing the production of collagen fibers and elastin formation and it may increase the transdermal absorption of any anti-cellulite skin care product by up to 200 times in a single treatment. 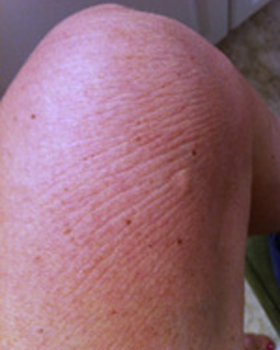 Stretch marks (striae) form when skin gets forced to stretch faster than its capacity to expand. This type of scarring is very common during pregnancy, teenage growth spurts, rapid muscle growth and during weight gain. 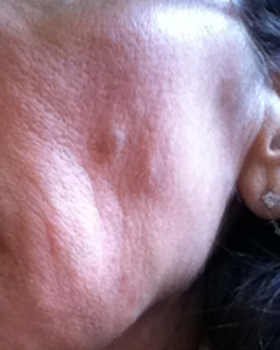 This rapid stretching results in skin ruptures that finally transform into scars. Glucocorticoid hormones are responsible for striae. They prevent the transformation of fibroblasts into collagen and elastin fibers. 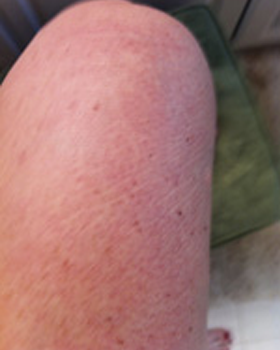 Until recently the cure of stretch marks has been nonexistent, with creams lotions and laser having very little effect. 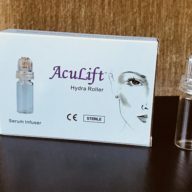 However, studies have shown micro-needle rollers such as the AcuLift stimulates cell regeneration and proliferation of fibroblasts a dramatic amount, The AcuLift Body Roller may be used to break up the existing stretch marks while stimulating new collagen in the area, on average an improvement of 70% may be expected. Male pattern baldness affects upwards of 80% of the adult male population. For women, hair loss on the entire scalp can be an issue as well. There are many reasons for hair loss -- stress, heredity, childbirth, menopause, poor diet and disease. Daily use of a dermal roller may reduce hair loss and help to restore normal hair regrowth. In order for hair to maintain a healthy growth cycle, hair follicles must be supplied with nutrients through the blood. 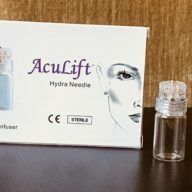 Micro-needling the scalp with the AcuLift Derma Roller™ may remove the sebum (a fatty substance that accumulates in the scalp around the hair follicles) and reduces DHT (a hormone which undermines the absorption vital nutrients required for healthy hair follicles) from the hair papilla. By removing the sebum, and reducing DHT, the hair follicles are exposed to more nutrition from an increased blood supply. Hair follicles have resting and growing phases, without proper nutrients their resting stages get longer while their growing phases get shorter. This can result in a shrinking of the hair follicle, which makes hair growth more difficult and makes hair more vulnerable to falling out. Daily use of a derma roller may increase the nutrient supply to the hair, feeding and strengthening the hair, and making it healthy again. “I was surprised that the needles would be so short, and microscopically thin…that it I could roll my upper lip several times without discomfort. My skin actually began to flake in some places revealing what looked like better skin to me. The change in my chin has been amazing! 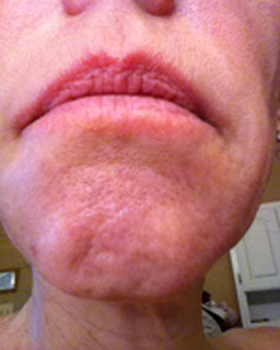 I would have not thought that after just two weeks my pore size would be reduced and the large indentation in my chin would be gone! **These statements have not been evaluated by the FDA. This product is not intended to diagnose, treat or prevent any disease. As with most treatments, results vary from person to person.